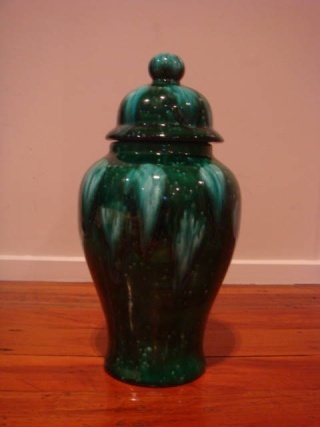 I have a large lidded urn - green trickle glazed and it has Lamberts inscribed on the base. Is this NZ? Does anyone know anything that can help me out? 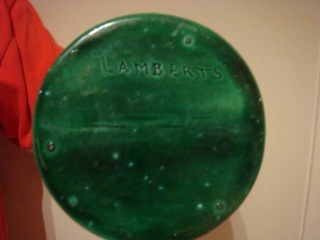 I remember reading something about Lamberts potters in Dunedin in the early 19th century. I just emailed you 2 photos. It is 34 cm high. here are the photos ..
Ah yes, now that you mention it, it does look like something from a ceramics class. I thought it must be old as it was so incredibly dirty - it was almost black and took an hour to clean on one side!